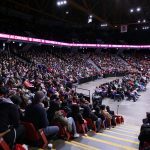 About 3,100 admitted students and their family members visited campus Saturday for the fifth annual UIC Ignite to see what the campus has to offer before they make their college decisions by May 1. 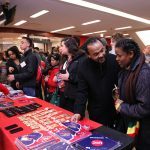 Students had the chance to connect with students, faculty and staff members from their academic college, explore campus and meet classmates. 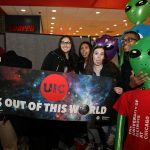 Participants learned more about undergraduate research opportunities, campus housing, orientation and financial aid at UIC. This year’s class of admitted students includes nearly 600 students with perfect GPAs, Rodriguez said. Students admitted to campus represent all 50 states and two U.S. territories, as well as 89 other countries. 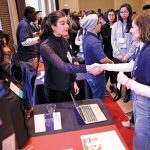 “It’s diverse, it’s academically strong and they’re coming from different parts of the country and world,” Rodriguez said. 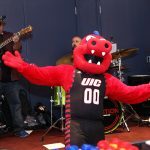 During Ignite, the Center for Student Involvement hosted UIC Live with music, giveaways and opportunities to meet with representatives from student organizations. 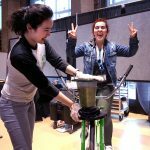 Students who commit to UIC will also be invited to Center for Student Involvement activities throughout the summer.